As 2:30 PM approached on Monday afternoon, doors began to open and people streamed outside. Many commented on the darkened sky, which resembled the darkness before a storm. Others dared a quick glance at the sun, some with protective glasses and some – ignoring multiple warnings – without. It was Eclipse Day 2017 in north central Ohio. Below is a collection of eclipse stories and social media posts from the Mansfield area. Something over 80% of the sun was covered by the moon during the event. 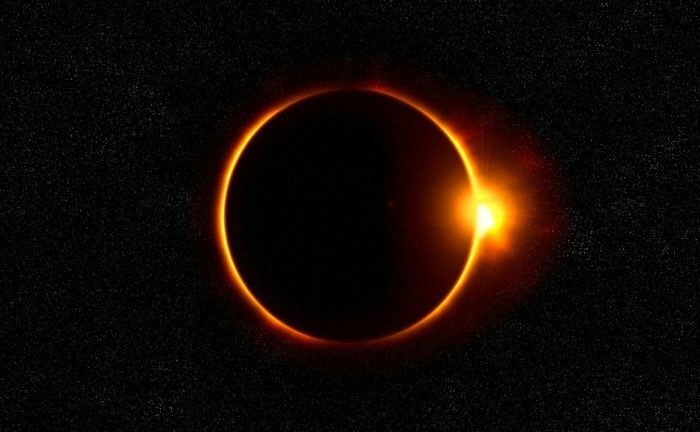 Although total solar eclipses occur almost yearly somewhere in the world, this was the first to impact the contintental United States in 38 years. Thousands of Americans traveled distances to reach the path of “totality,” which stretched from Oregon to South Carolina. The next total eclipse in the US will take place on April 8, 2024, at which time Mansfield and north central Ohio will itself lie in the path of “totality” for the first time in hundreds, and perhaps thousands, of years. These maps from a Pennsylvania newspaper (continue down that page) show our area of Ohio squarely in the total eclipse area; the projected duration is currently set at 3 minutes and 50 seconds.